Join us for “A Breath of Fresh Air”! 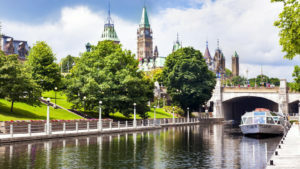 The Canadian Thoracic Society is pleased to invite you to attend the 12th Annual Canadian Respiratory Conference in Ottawa, Ontario from April 11-13, 2019. This meeting has become an annual must-attend educational and scientific event for members of the Canadian Thoracic Society (CTS), Canadian Respiratory Health Professionals (CRHP), The Lung Association (TLA) and others working in respiratory health. The conference is of special interest to those in our clinical and scientific community, including adult and pediatric respirologists, residents, fellows and trainees, family and emergency physicians, respiratory therapists, pulmonary technologists, physical therapists, nurses, dieticians, pharmacists, educators and other professionals working in the respiratory field. CRC 2019 Program at a Glance and detailed web-based Preliminary Program are now available! Register now! We look forward to seeing you in Ottawa!